Lois fell in love with Yoga in 2001. That love for yoga led her to Ayurveda in 2006. In 2012 she decided to add a new dimension to her career as an Insurance Broker and started a yoga teacher training program. She graduated as a registered yoga teacher – (RYT 200) in 2013. Following graduation, she attended a course by Timothy McCall MD, Yoga as Medicine and was re-inspired to enroll with Kerala Ayurveda Academy. 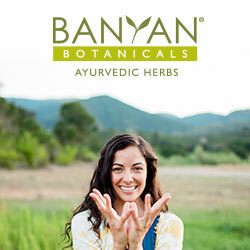 She graduated as an Ayurvedic Wellness Counselor in 2014, and continued to the next level, Ayurvedic Wellness Practitioner, which she completed in 2015. Lois also completed a higher level of yoga teacher program in 2015 (RYT 300). Her continued studies include sanskit as well as vedic astrology with is called Jyotish. Stay tuned, for Lois loves to share what she learns with others! Wondering if this is the same Lois Kubota, brother of Cliff, who was at Northland College in the 60’s?